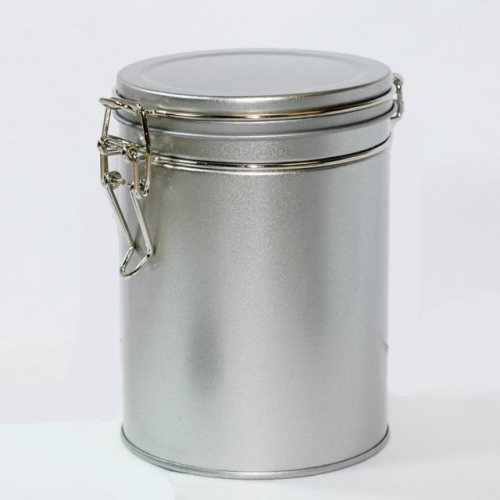 Our Tea tins with latch locks comes with an easy-to-use latch and an air-tight plastic seal. This container is the perfect storage solution for your favorite teas. Notes: Each tin holds approximately 8oz to 10 oz of most teas (but only 4oz or less of the voluminous white variety) and is 3-3/4" in diameter and 5-1/8" in height. Packaging: To ensure all tea canisters deliver in perfect condition. Please allow us additional times for packaging. 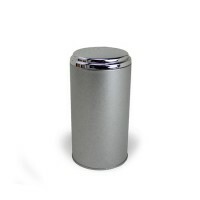 Order with tea canister/s will normally shipped within 2 to 3 business days on standard shipping. 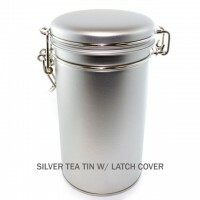 Silver Tea Tin w/ Latch Cover Silver TEA Tin canisters with Latch are perfect for keeping your go..
8 oz Silver Top Tea Tin (Mirror Top) This is a very stylish silver color tea tin with mirror effe.. 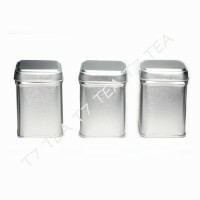 Tea Tins Square Small - Set of 3 Tea Tins 2.5" come in silver color. It comes with slip on lip. G..